oikos Asia Meet 2015, a much awaited event is scheduled from 16th - 18th April 2015. The event will be hosted by oikos New Delhi at University Of Delhi. Urbanization is on a rise especially in emerging countries like India. Currently around 300 million people live in the cities and town. Within 20-25 years, another 300 people will be added to Indian cities and towns. The current government has proposed policies for creating smaller cities. It has become indispensable to think about the risks that speedy urbanization pose and thus to come up with solutions that can convert this into sustainable urbanization. 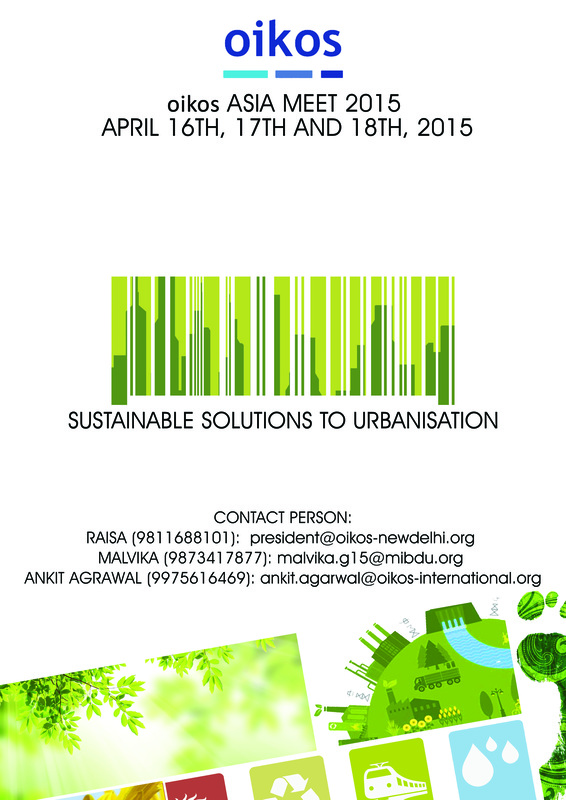 Hence the theme of the meet is 'Sustainable solutions to urbanization'.